The image of the sower in Matthew 13:18 has always resonated with me, as I have scattered lots of seeds in all sorts of ground: addicted, unbelieving, incarcerated, overworked, and often receptive. I have witnessed many people receive the word with joy, drinking it into their thirsty souls. I’ve watched them grow before my eyes. And yet for the countless Bible studies I’ve led and individuals and families I’ve visited, I’ve seen very little fruit. 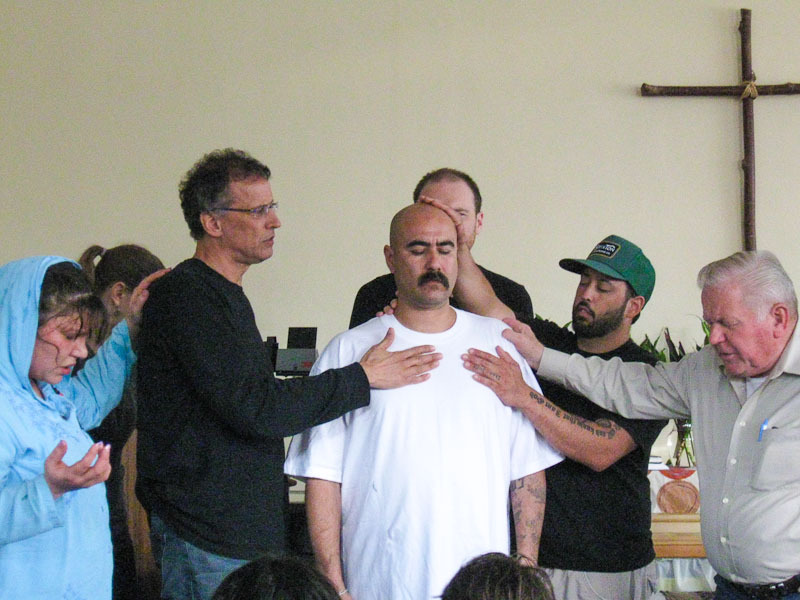 I don’t know what’s happened to most of the people I’ve ministered to a chaplain of Skagit County Jail and in Tierra Nueva’s migrant ministry. Inmates have often gone off to prison, from which they’ve been deported or released to a new life in some place unknown to me. I rarely hear what happens to people who have heard the word. I’ve clung to texts like Isaiah 55:10-11, which have brought me some comfort. Eighteen years ago I met a young man named Julio in Skagit County Jail. At that time he was a scrappy gang banger from Stockton, California, caught up in PCP and crack cocaine addiction and dealing drugs for income. I did one-on-one visits with him while he was in jail, and was increasingly drawn to him. He called me “Pastor Robert”. Julio and I hit it off, and when he was out of jail I began visiting him and his girlfriend in the apartment from which Julio sold drugs. Julio asked me to read the Bible with him and his girl friend and to pray. 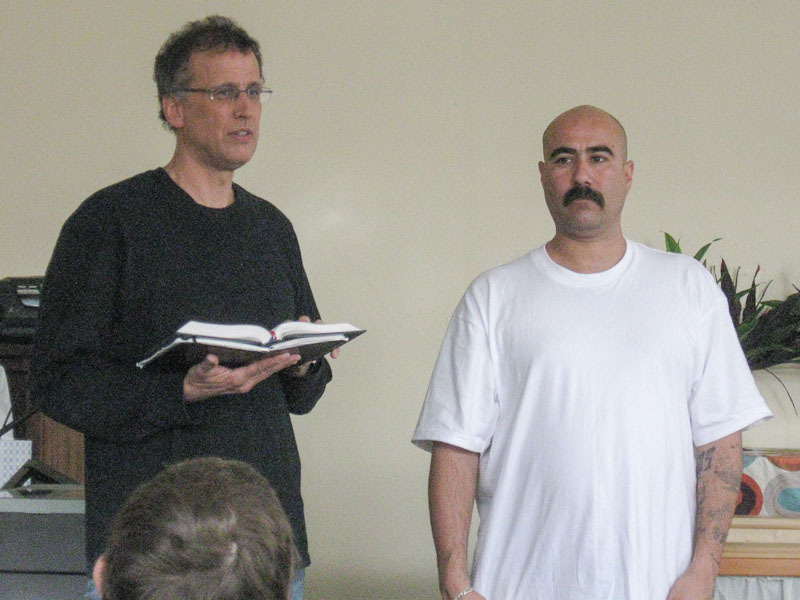 Our Bible studies were constantly interrupted by customers wanting to buy drugs—many of whom I knew from jail Bible studies. Julio invited everyone who came by to join in and learn about God. He was a natural evangelist. I loved him. Julio and his girlfriend had two beautiful daughters together, which added more financial pressures and stress to their relationship. In spite of my best counseling efforts, he and his girlfriend broke up. Julio took his daughters to live with his mom in Arizona. He worked at one of the skills he’d learned from his stepfather—smuggling people through the desert to safety. I felt my limitations as a pastor all the time with this wily, beloved sheep, and have prayed for him all these years, imaging myself carrying him up and laying him before Jesus. My love for Julio and longing to see him grow drove me closer to Jesus, asking for wisdom, training, more love, more of the Holy Spirit—whatever was needed. Two weeks ago Julio called me out of the blue. Pastor Robert. “I’m leaving where I’m at and I’m moving back to Washington. I’m ready to surrender to Jesus and to work with you at Tierra Nueva!” He’d been on a Greyhound bus for 2 ½ days already and asked if I could pick him up. He was three hours from Mount Vernon! Julio moved into our building and has become part of our life again. 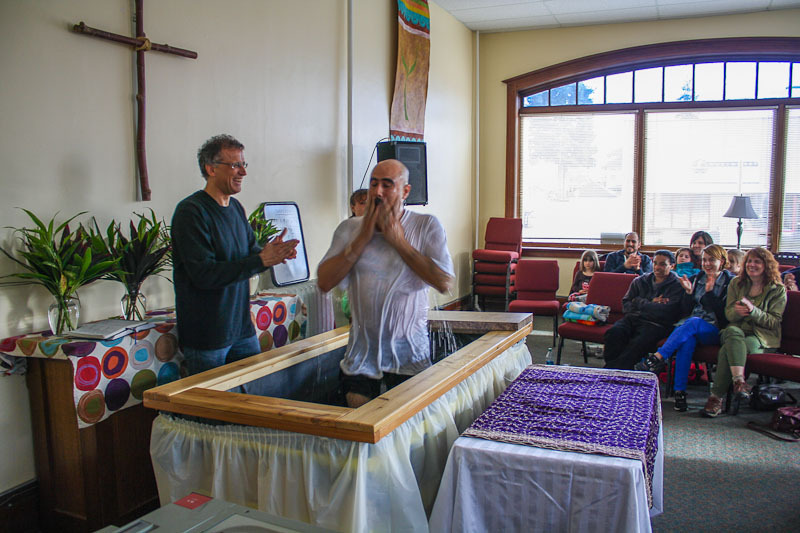 Last Sunday we baptized him. He’s been going out with us on missions to pray for people, and loves it. This has been deeply encouraging to me, and I’m celebrating the realizing of Psalm 126:5-6. Please pray for him as he starts out afresh as Jesus’ disciple and our newest recruit. Please pray for his 15 and 17 year-old daughters, who are living on their own now in Mexico, and their mom who is now in prison. Lift them before the Good Shepherd, Jesus himself. He knows where they are and how to bring them home.